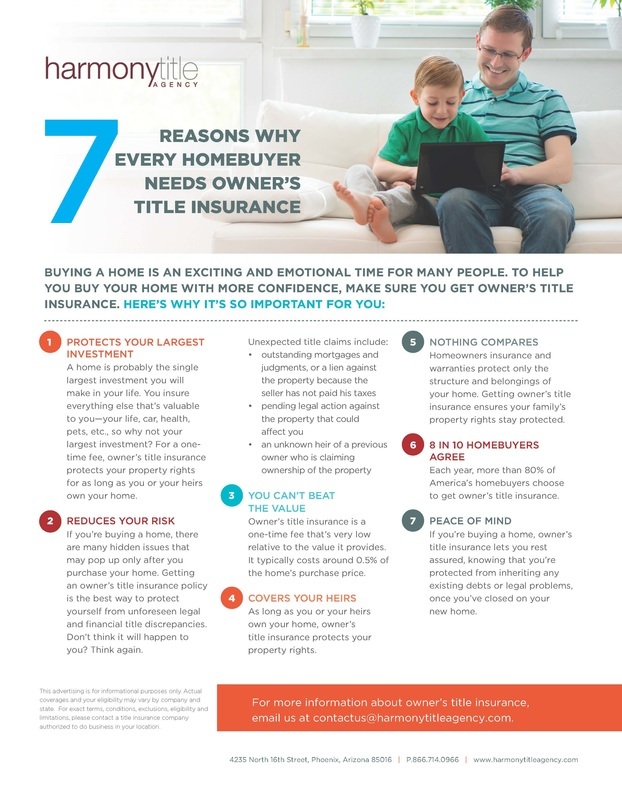 Title insurance for homeowners is called an Owner's Policy, and Harmony Title Agency can provide you with one that fits your specific needs. We are dedicated to providing a quality product and unmatched customer service. Title insurance protects your rights as a homeowner against property loss or damage due to hidden defects in title. 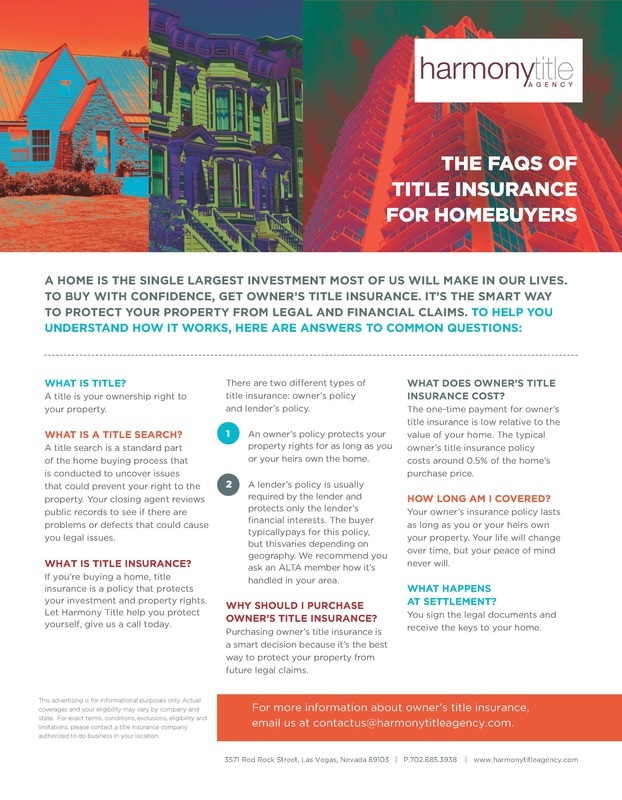 Title insurance policies protect against liens, encumbrances, or defects in the title to the property, which generally arise as claims against the property on matters carried over from the previous owner(s). Claims of Ownership: undisclosed heirs, misinterpreted wills, rights of divorced parties, false impersonation of land owner, etc. Claims of Fraud: improperly recording of documents, illegal/fraudulent documents, forged deeds/mortgages, etc. Easements and Liens: special tax assessments, utility easements, errors in tax records, etc.